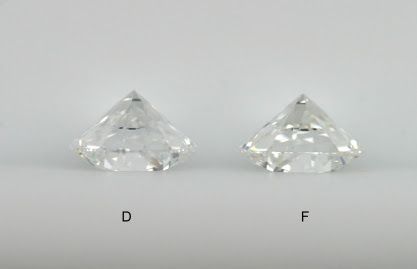 Colorless diamonds fall in the GIA scale at the letters of D, E, and F. Colorless diamonds are the most rare diamonds; less than 1% of the diamonds that are mined are D or E. What constitutes a colorless diamond, however, is not so much how that stone looks face up in a ring but how it looks when it's observed face down against a flat white background.  A colorless diamond will still be white against the flat white background. Here are the colors D, E, and F alongside each other. Figure B shows a D alongside an E. Note that there isn't any drastic difference between the two. In real world observation the color difference is this minute as well. 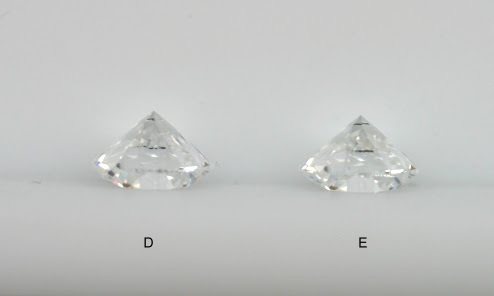 D and E colors represent less than 1% of diamonds in engagement rings. Figure C shows a comparison between a D and an F. The difference in color between the two colors is small.  Now lets move on and take a look at Near Colorless Diamonds.